Learn to play the beats to your favorite songs, or improve drumming technique for band at school. If your young one is full of energy and banging on pots and pans at home, drum lessons can be a great creative outlet! an adult who has always wanted to play the drums. Drum language can be complex and our instructors are here to help break it down but still keep the lessons challenging for any level drummer with a wide variety of technical exercises designed to improve your speed and comfort. Whether you like the style of Sheila E or Ringo Starr, or music by the Beatles, Green Day, The White Stripes or want to be able to play in your school band, our teachers are happy to help you become the musician you want to be. All drummers bring in their favorite drum parts to learn in their lessons and theory is encouraged. We have many drum students who play in local bands be it open mic nights, or their local churches. Drum instruction is offered as a weekly 30, 45, or 60 minute private lesson for beginner, intermediate, and advanced students. Available styles include jazz, Latin, rock, and more. Beginning students will begin studies with a snare drum and gradually work up to learning the full set. Intermediate and advanced students will work from customized lesson plans to achieve short and long term goals. Because of sound considerations at the school, lessons are given on a high-end electronic drum set. Whatever your goals are, our drum teachers are here to help you and personalize a lesson plan for you. Lessons are first come, first served so contact us today to reserve your first lesson! Please use your primary email address so that our reply reaches you. Special Note to Marketers & Solicitors: unsolicited offers will be reported as SPAM and deleted. and time at which you can be reached. "Do I need a drum set?" The simple answer and good news is NO... At least in the beginning stages it is not necessary. A rubber practice pad, which is about the size of a plate and a set of drumsticks (about $30), is essentially all you need to begin taking drum lessons. After a few months, you will typically have a good indication whether this is going to be a long term commitment. So, at that point, it will be definitely worth investing in a drumset with cymbals if the intention is to continue with drum lessons in the many months to come. Also, the practice pad will always come in handy as you can easily pack it and take it anywhere you go. And it's relatively silent. So it is definitely not a waste to invest in a practice pad and drumsticks to start. Drumming can appear simple and easy to learn because of its nature of being more physical than mental during the simplistic stages. This is simply not true. Without proper instruction a student is often doomed to “hit the wall” rather quickly and develop a dislike for the instrument in general. Drumming takes dedication and commitment to develop a solid foundation upon which a student builds their technique. Without the proper guidance, a student is likely to have a much harder time understanding the ins and outs of the craft, and their progression will be considerably hindered and possibly halted altogether. As a musician, it is natural to want to progress and hone your abilities. With an instructor’s guidance and insight, those inevitable hurdles become easier and easier to overcome, thus making your drumming experience more fruitful and memorable and therefore, more fun. 1. Teaching Methods: Learn faster and better from a qualified teacher. A professional musician teaching you the proper ways to learn and play can help you plan the fastest route to your playing goals and teach you the proper technique along the way. They can guide you in the best choices for literature and equipment, and customize your lessons according to YOUR interests and learning style. With an instructor at Moscow Music Academy, you'll be learning real beats and songs and making music from day one as you learn to read and comprehend music and understand its beauty. 2. The right environment for learning. Our studio is fully equipped with a complete acoustic and electric drum set and we have several different accompaniment tracks to teach you how to practice playing along to fun songs in various styles and genres. We teach the following styles, including, but not limited to rock, pop, R&B, metal, jazz, fusion, blues, and country. If you are a student in a school band program, we can help you perfect your rudiments and can even prepare you to pass auditions or qualify for competitions. There are hundreds of types of percussion instruments in the world, and things can become rather daunting in choosing what you want. Ultimately, it comes down to style and musical genre that will determine what kinds of percussion instruments are best for you. For the most part, popular modern drummers utilize the standard drum kit (also known as a drum set, trap kit or trap set), which consists of drums made of various materials in a wide range of sizes, usually accompanied by metal discs called cymbals. Here is a brief overview of the most common types of drums kits used. Acoustic drums: Wood, metal, or acrylic shells, with or without metal cymbals. High-volume in nature; hearing protection and/or sound-dampening pads are usually encouraged in enclosed spaces or locations with a low tolerance for volume. Electronic drums (aka ‘electric’ drums): A collection of plastic, rubber, or mesh-headed pads hat trigger sounds to be played when struck; must be amplified or listened to with headphones to be heard properly. Virtual drums: These can have various names, but they all typically refer to programmable drum sounds, which can be arranged into beats and songs. 4. Accessories: Practice Pads, Drum Heads, Sticks, Pedals, Stands, Cymbal Pads. 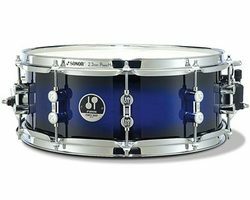 Need help choosing the right drum gear? Our expert drum instructors are happy to assist you in your purchase. This service is FREE to all students who register for lessons at our studio. We take your needs and musical preferences into consideration to help you find the right drum gear or accessories that suit YOU best.